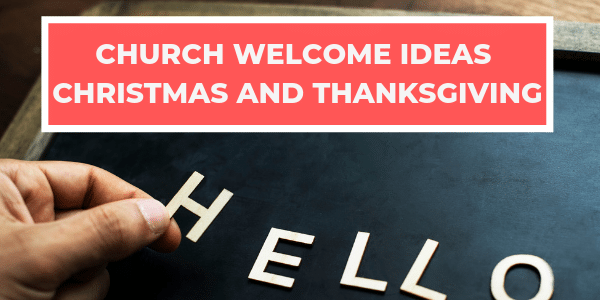 A Church Christmas or Thanksgiving Welcome from our site can easily be edited to provide a warm welcome to Christmas or Thanksgiving themed Services. Many churches include a welcome within the contents of a program or church bulletin. Others will share the welcome directly from the platform at the beginning of the service or program. Most people would never think of inviting someone into their home without a welcome of some kind. Our churches should be one of the most welcoming places for people to visit! Welcome to our Christmas Eve Service here at (NAME OF CHURCH). We are delighted that you and your family have chosen to take a few moments this evening to worship the Lord with us. Over 2,000 years ago on a silent and holy night, the Savior of the World was born. Not in a Palace filled with pomp and circumstance, but in a lowly stable because there was no room for Mary and Joseph in the Inn. Logged in Members, CLICK HERE to view and/or copy full text! Thank you for joining us for service today! If this is your first time here at (NAME OF CHURCH), we sure do want you to know how much we appreciate you joining us today as we come together to honor our Lord and Savior, Jesus Christ! Logged in Members, CLICK HERE to view and/or copy full text! Greetings and peace from our Lord Jesus Christ! Thank you for being with us at INSERT NAME OF CHURCH HERE as we celebrate the birth of our Savior on this holiest of nights. Whether you are a long-time member of our congregation or whether you are a newcomer to our church family, we appreciate that you have incorporated this worship service into your own personal Christmas Eve tradition this year. Logged in Members, CLICK HERE to view and/or copy full text! Quite often, during these busy days of fellowship, feasting, and football the most important thing can be overlooked. What is that? It is giving thanks to God for His outpouring of bountiful blessings in our lives. Logged in Members, CLICK HERE to view and/or copy full text! What an exciting Season this is! I don’t know about you, but this tends to be my favorite time of the year as so many take time to celebrate and appreciate the birth of our Lord and Savior Jesus Christ! 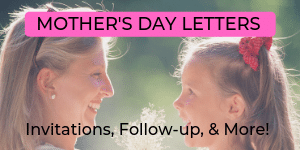 While we look around and recognize that so many have so little recognition of what this time of year is all about, we not only know why we celebrate, but we know WHO we celebrate! Logged in Members, CLICK HERE to view and/or copy full text! We want to take this opportunity to welcome you here today to (NAME OF CHURCH)! On this day before Christmas, as many of us anticipate getting together with our families tomorrow to celebrate the birth of our Savior, isn’t it exciting to get together as the family of God? We recognize this time of year is a joyous occasion for many, yet we know there are those here today who have experienced something in your lifetime, perhaps even this year that makes the Christmas Season a bit difficult. Logged in Members, CLICK HERE to view and/or copy full text! Thank you for joining us! Today marks the first Sunday in this time of the Church year that we call Advent. Although we celebrate this season each year, many are not sure what the season is all about. The word “Advent” simply means “arrival.” It is the manifestation of something long-awaited. It is a time that we reflect on Israel’s promised savior and remember his birth, as well as anticipate his return. It is a time of joyous remembrance and eager anticipation. Logged in Members, CLICK HERE to view and/or copy full text! Greetings in Jesus the King! Welcome! Today is the second Sunday in the Advent season. Can you think of some of the Biblical themes of this season? Certainly, the love and faithfulness of God our Father is high up there, but have you ever considered the idea of hope? Although it may not be the first thing that comes to mind during the Christmas season, there is much to consider. Logged in Members, CLICK HERE to view and/or copy full text!